You might have heard about the ailment called ‘Too Many Tabs’. It afflicts most of us who just love to drink from the water hydrant that’s the web; so we don’t really care about how many browser tabs we have open. Well, that’s like catching all the water spewing out with just a spoon; but let’s leave that discussion for another day. Let’s focus on the digital syndrome called ‘Too Many Tabs’. Tab management is an essential skill for anyone who is out mining the web for information. More than two dozen tabs is par for the course. What’s not fun to observe is the reaction when you lose all those tabs because of some reason or you would like to maintain the layout of the same tabs across your browsing sessions. Did I hear ‘layout’? Say no more, because the Chrome Web Store has just the solution for the pickle you could find yourself in when you have so many browser tabs and windows opened up. Layout Manager in my humble opinion is a feature that Chrome or all browsers for that matter should have as a default. It not a complicated piece of work (I just could use two screenshots)…it simply allows you to save and maintain the open windows and tabs so that you can quickly reload them whenever you want. More importantly, the selling point for the extension is: It remembers the precise layout of the windows and tabs you have open and it restores them exactly. You can position your tabs in a specific order and arrange the windows according to the screen estate before clicking on Save Window Layout. Load Window Layout brings back the same layout whenever you want to. Every tab and window is retained in its exact position. Let’s look at a couple of real-world situations and see how Layout Manager comes to the rescue. As a quick bookmark tool: You have a few tabs open in Chrome. You need to quickly close the browser and go for a cup of coffee. 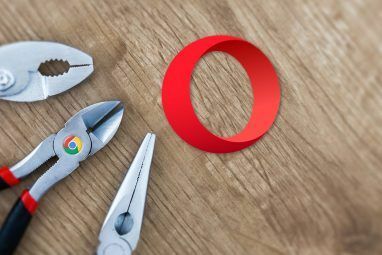 Now, instead of saving the browser URLs and them copy-pasting them later, you can use Layout Manager to backup all your open windows and tabs 3 Easy-to-Use Browser Extensions To Backup Your Open Tabs 3 Easy-to-Use Browser Extensions To Backup Your Open Tabs If you are a heavy Internet user, you are most likely to often have multiple tabs open simultaneously. Today's post will help you secure your active tabs against any crashes as well as synchronize them... Read More and restore them later with a click. As a space saver: You have quite a few tabs and windows open in Chrome in specific positions on the screen. You need one or two tabs and not all of them immediately. Save their layout and load them later with Layout Manager. Is Layout Manager Different From Other Session Saving Extensions? Arguably Firefox The 5 Best Firefox 4 Addons For Tabbed Browsing The 5 Best Firefox 4 Addons For Tabbed Browsing Read More is better with tab management. 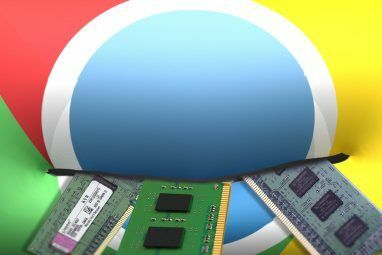 But Chrome too has its bevy of tab management extensions The 10 Best Extensions for Chrome Tab Management The 10 Best Extensions for Chrome Tab Management If you’re a multi-tasker, you love tabs. Maybe a little too much. 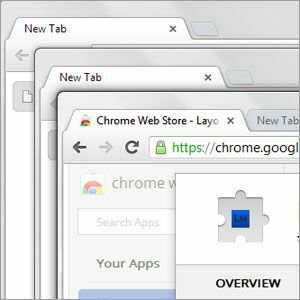 Here are 10 extensions that will help you deal with the tab overload. Read More . There is the heavily used Session Manager extension among them. The key difference is that Session Manager does not allow the preservation of the exact layout though it brings back the opened tabs. Layout Manager is uncomplicated. It has just two buttons and nothing else to configure. It resembles the cross-browser add-on called Surfon which we have previously reviewed, but again without the layout feature. I can see Layout Manager to be a handy inclusion for web designers who like work with multiple open windows and keep them positioned them on the screen precisely. A feature to save multiple sessions would have really taken this extension places. But even without that, it has found a cosy place on our Best Chrome extensions page. Do you think this uncomplicated and simple extension is worth an install? Tell us. This is one of the very useful extension we have today. I find it very helpful. I have to manage a lot of sites at a time and this extension really helps me save my time and work load. If you have the window dragged partially out of the screen, it does NOT remember that and instead restores the window (whatever size you had it) in full, instead of as you had left it on the screen. FWIW. 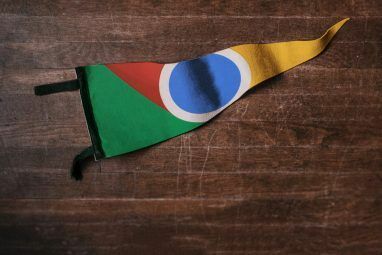 I was using Chrome until having 50+ tabs opened at a time became too annoying because of every one loading at startup. Then I didn't want to waste time to open it so I was more often using firefox. And in the field of tab management, which is most important to me, it's the best - it loads a tab only after selecting it so it doesn't waste memory nor my time, even with more than 60 tabs opened at a time. God! I was using multiple tabs! Sound great! I used two kind of session manager on Chrome. But my main frustration is all the sites which is closed and saved, when I load everything back, all of them needs to load..which is time and bandwidth consuming. How I wish it's just like hibernate. This one loads only those that were open and in the order of their specific layout. You need a proof reader. Content is good. Sentence structure, not so good. How does that differ from session manager so, if both open all the tabs that were open previously, and both load them from the network rather than from cache? Does layout manager automatically save the windows/tabs on exit, or do you have to click the button? If it doesn't, then session manger is better - most of the time I'm reopening multiple tabs, it's because something has crashed either chrome or windows and you don't get a chance to click a "save" button. If it does, then it's better, as with session manager if chrome crashes when you have multiple windows open, you're not sure which one;s abls you'll get back on startup. What would be useful is an extension that (a) saves tabs/windows as you go so you can recover from crashes (b) on opening the browser, it loads all of the pages from your cache (if it can find them) rather than from network, and only refreshes any particular page over the network as you make that tab active.